Cue the rising temperatures and shining sun because it’s time to step outside in a fresh, feminine print for spring. Cue the rising temperatures and shining sun because it’s time to step outside in a fresh, feminine print for spring. Floral prints have noticeably become bold and beautiful this season, which makes it a new trend. 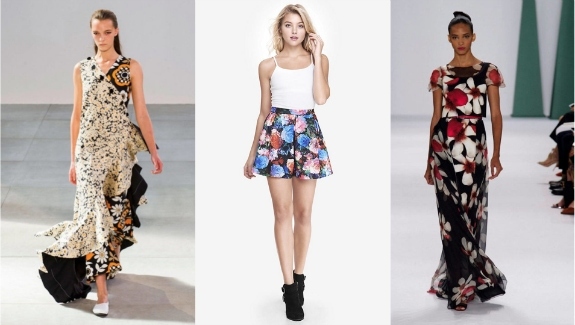 These dramatic florals have strolled down the Spring 2015 runways and now it’s your turn to rock this look. Don’t be a wallflower when you show up to class in this trendy statement print. Check out the three outfit ideas below to find some rejuvenating inspiration. It’s time to bloom! Let’s first look at this bold floral tank with a retro twist. This cropped tank top would look ideal with some mom jeans for a cool, ’90s-styled look. 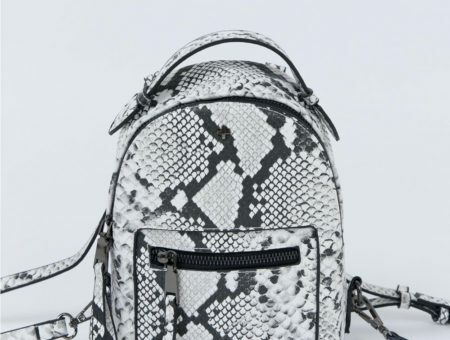 A studded electric blue backpack and crisp, white sandals are great accessories to complete the ensemble. If you are still chilly, throw on a lightweight cardigan for some extra coverage. I absolutely love the resurgence of light-based colors that reflect the season of spring. The blue and tan tones of these super-cute high-waisted floral shorts scream “wear me now.” A flowy blouse with chic flared sleeves complement the shorts well, while also keeping you on-trend. Accessorize the feminine ensemble with a fedora and ever-popular tall gladiator sandals. This elevated floral dress is perfect for a spring formal or Sunday brunch. The subtle colors within the dramatic lines make for a modern look that’s tasteful for a formal occasion. 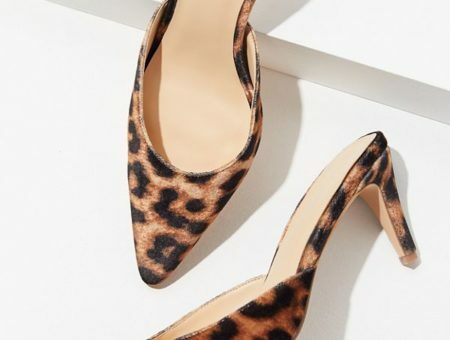 Pair the dress with fun, light-colored heels. The bow detail on these yellow heels is absolutely adorable. A basic cardigan fits over the dress for extra coverage. Radiate southern charm as you complete the feminine look with posh sunglasses, a statement necklace, and a quilted purse. The whole outfit reminds me of what the Southern Belles on Hart of Dixie wear! Now, I want to hear what you have to say. How would you wear bold floral prints for this spring? Would you rather wear floral print dresses, shorts, or trousers? Tell me your thoughts on this trend by commenting below! Previous Would You Wear… a Faux Suede Skirt? Next Would You Wear… Lace-Up Ballet Flats?